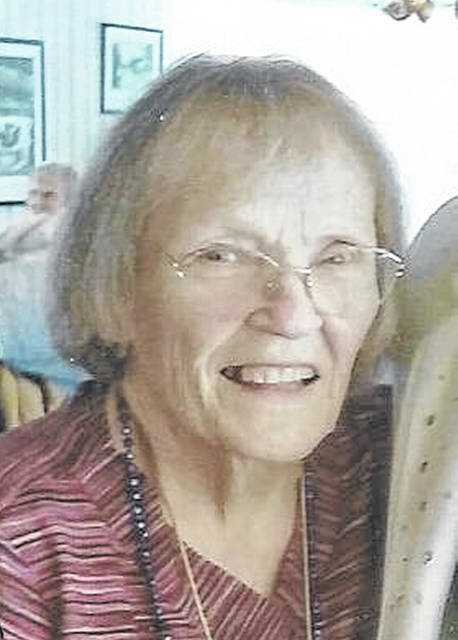 DELAWARE — Norma Jean Wheatley age 84, of Delaware, died Saturday, January 19, 2019. She was born February 7, 1934 in Delaware to Gladys Jane (Trigg) and William Milo Rhodes. She graduated from Berlin High School in 1952. She worked for Battelle Research Institute, she retired from ODOT as E.E.O. for the State of Ohio and worked also as a real-estate agent. She was a member of the Women’s City Club in Delaware, Beta Sigma Phi, People In Need, fundraiser for St. Jude’s Hospital and started the Festival of Trees in Delaware. She is survived by daughters, Pam Wheatley of Delaware and Debbie (Robert) Nemo of Marion; Grandchildren, Josh (Erin) Rockey, Blake (Kathryn) Rockey, Conner Scweinfurth, Adam (Kayleigh) Nemo and Aaron Nemo; great grandchildren, Phoenix, Everett, Graham and Harper Rockey; sister, Ruth Decker of Delaware. Preceded in death by brothers, Charlie and Harry Rhodes. Visitation will be Saturday, January 26, 2019 at the Robinson Funeral Home from 1-2 p.m. Contributions may be made to Women’s City Club, 135 N. Franklin St. Delaware, Ohio 43015 or Wounded Warrior Project, 301 Grant St., Suite 900, Pittsburgh, PA., 15219. Condolences and memories may be shared at www.robinsonfuneralhomeinc.com.